It’s been a hard few weeks for Mr A & I lately, so when I saw this pattern I knew I had to stitch it. For the first time in awhile, I’ve done this as a personal project – just something to pick up and stitch whilst I watch tele or a movie with Mr A. 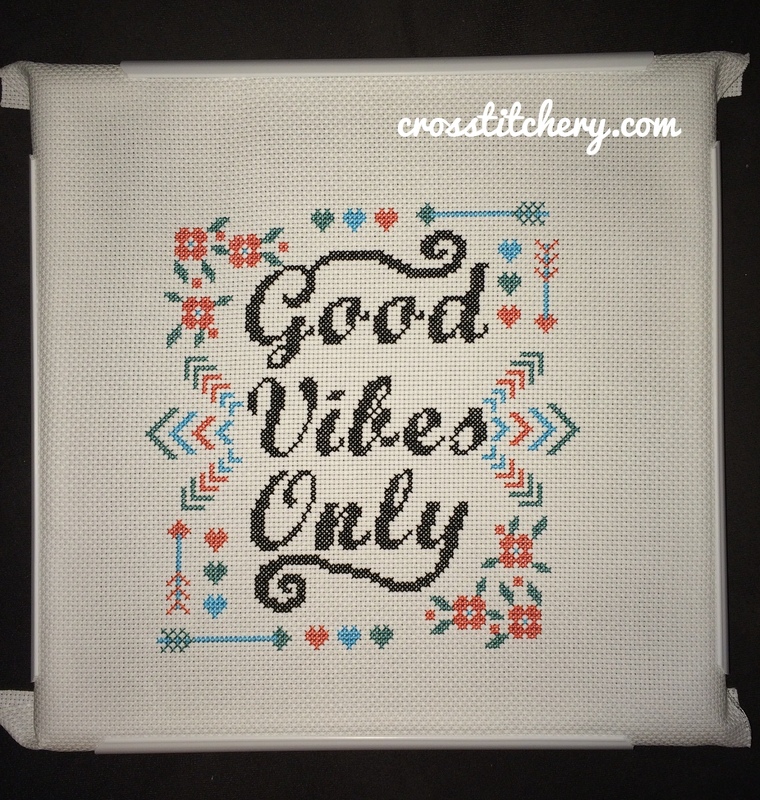 It was SO nice to stitch this without a timeframe! I love the end result, and once it’s washed and frame I think I’ll make it the first piece I list in my Etsy store. I know that it’s hard not to focus on the negative or hard things in life, but I’m going to try and channel any negativity I have into something positive .. Going for a walk or run, working out, making a new recipe, finishing off something I’ve been putting off. If you’re in a negative space, go and create something amazing with that gorgeous creative mind of yours, and know that you are not alone. I definitely needed to see this right now! Beautiful! Very cute stitch with beautiful colors of spring. Good vibes only for you and Mr. A. Hope that things turn around soon! Love this piece!